We’re facing some record high temperatures this holiday weekend. Folks are out and about, enjoying block parties, barbeques and other celebrations. For those looking for a little break from the heat and want to end their long weekend with perhaps a bit of disturbed laughter, the PHILLY IMPROV THEATER aims to cure what ails you with it’s raucous and unruly GROSS SHOW. Readers are likely already familiar with host ALEX GROSS and his unbelievably debasing assortment of talk show guests. In the last show alone we saw a bevy of sexed up Disney princesses, a trio of passionate rapists and a frightening collection of other misfit characters. Rumor has it tonight’s show will feature the always hilarious Roger C. Snair as well as the riotous Fastball Pitcher Bob Gutierrez, amongst other surprises. So head on out and leave at least a little uncomfortable. 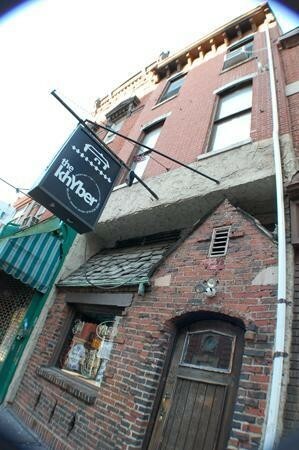 For the last few weeks, rumors have abound that the close of July could bring with it the end of live entertainment at the Khyber. It’s still up in the air whether the venue will be changing hands soon, or is simply looking to make a change in bookings. According to a recent chat Philebrity had with owner Stephen Simons, at the very least, the stage will be dark for the month of August. So with the future unclear, comedian Chip Chantry looks to make this month’s One-Man Show something to remember. For what could be the final installment at the beloved venue, they’re going entirely character-based for the theme. Everyone appearing onstage will be in disguise. Some fantastic alter-egos and characters abound in our little world of comedy, and tonight should be something pretty damn special… while potentially bidding farewell to a venue held so dear to many comedians, we might conversely see the birth of other hilarious personas the likes of Bing Supernova or Fastball Pitcher Bob Gutierrez. Chip has a cavalcade of comics slated to take the stage tonight, including: Johnny Goodtimes, Doogie Horner, Brendan Kennedy, Meg Favreau, John Kensil, The Feeko Brothers, Andy Nolan, Luke Giordano, Roger Weaver and more! With a lineup like that, this show already should make your must-see list. Add to that it potentially being the last installment at the place that gave birth to shows like this and Die Actor Die, and it really is the only place you should be tonight. CHIP CHANTRY’S LAST ONE-MAN SHOW AT THE KHYBER?!?! 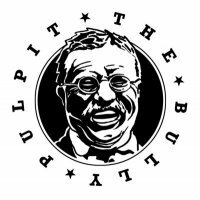 The PHILLY IMPROV THEATER keeps ’em coming tonight with THE BULLY PULPIT. The show features comedian LUKE GIORDANO hosting a panel of four different comedians each month in a round table of discussion, argument, and personal attacks. Moving from topic to topic, the show can center on pop culture, current events, or whatever the panelists have on their minds for a show full of fresh, off-the-cuff comedy in the heat of the moment. The gorgeous weekend is over and now you’re facing a gloomy Monday… what’s a person to do? The perfect cure is just around the corner at the Khyber, where tonight CHIP CHANTRY hosts a night of comedy featuring Meg & Rob, Brendan Kennedy, Pat House, Fastball Pitcher Bob Gutierrez and a special unnamed guest! Our favorite pitcher will be featured in a segment called Ask Bob, providing life advice to the audience. Johnny Goodtimes will also host a round of $25 Pyramid. NO. THAT KIND COSTS MORE. And speaking of cures… proceeds from your ticket will benefit the Leukemia-Lymphoma Society.